Surgical Services: Dr. Tice has over 15 years of experience with laser surgery. Our state-of-the-art surgical suite provides for the performance of a wide variety of surgical procedures. Anesthesia: We utilize the safest available anesthetics to provide that extra margin of safety, especially for our older or high-risk patients. Our patients' vital signs are monitored by the most modern equipment during all anesthetic procedures. Ultrasonography: We provide on-site ultrasound services to aid in diagnosis of certain conditions. Electrocardiography Services: We provide on-site ECG services, as well as consultations with cardiology specialists. Laboratory: Our in-house laboratory facilities provides for serum chemistry, hematology, serology, urinalysis and parasite testing. We also utilize commercial veterinary laboratories for specialized diagnostics and consultations. 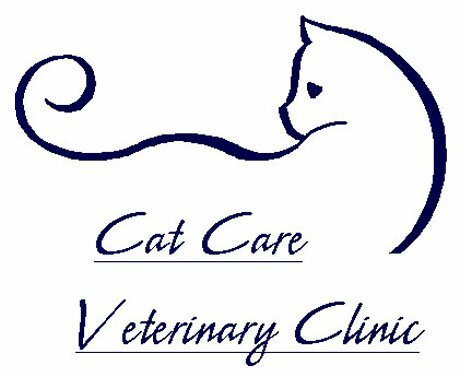 Pharmacy: We maintain a complete inventory of pharmaceuticals, vitamins, shampoos and heartworm preventatives to meet the needs of your cat. Dentistry: Our dental services include teeth cleaning, polishing and tooth extractions, with referrals for dental x-rays if needed. Individualized Flea Control Programs: We can develop programs for the specific needs of your cat and your own particular environmental situation. We review with you the best ways to control fleas in your house, your yard and on your pet. Dietary Counseling: We provide guidance regarding your pet's nutritional needs for each life stage, including dietary requirements for growth, weight maintenance and performance. Behavioral Counseling: We can give advice regarding the correction of problems such as chewing, spraying, scratching, house soiling and aggression. Boarding: We provide cat boarding as a service to our clients. All boarders will receive personal attention from our caring staff. Click here to see more. Emergency Care: We refer our after-hours emergencies to the Animal Emergency Center of Cary.